Drawn to the many facets of midcentury design, Shannon has immersed herself in the history of the movement—gleaning from its various forms out of Sweden, Denmark and North America. “There was such a love and dedication to craft and yet a determination to push its boundaries during its heyday,” she says. Shannon focuses on studying the design movements and the people who created during the midcentury era so as to better hone her craft. “[It] has inspired me to become a designer that works and gains inspiration directly from the materials I work with,” she says. One of the elements that makes Caravan Pacific unique is that the designs are not reproductions. 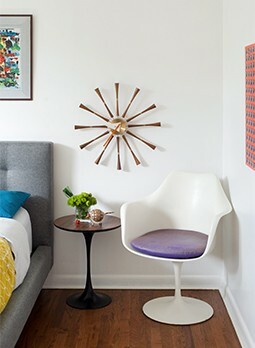 Rather, Shannon studies the sensibilities of midcentury style and has reinterpreted them in her own light. Photo courtesy of Caravan Pacific. For most artisans, studying the work of the predecessor that inspires them most is the only opportunity they’ll have to glean and learn. Luckily for Shannon, this was not the case for her. The man that inspired her most, ceramicist Gordon Martz of Marshall Studios fame, became her mentor. While in the research phase of her first lamp, she discovered his work and suddenly found all the inspiration she needed. 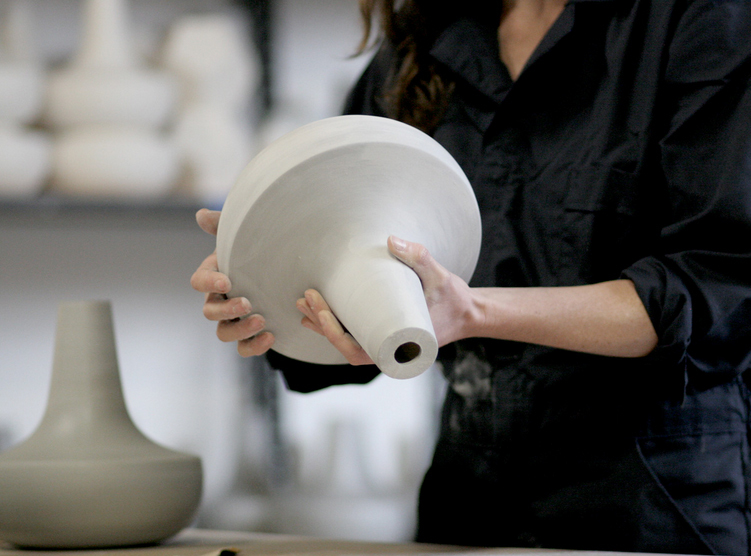 “There was wonderful fluidity between his daily practice as a ceramicist and his attitude towards designing,” Shannon says. 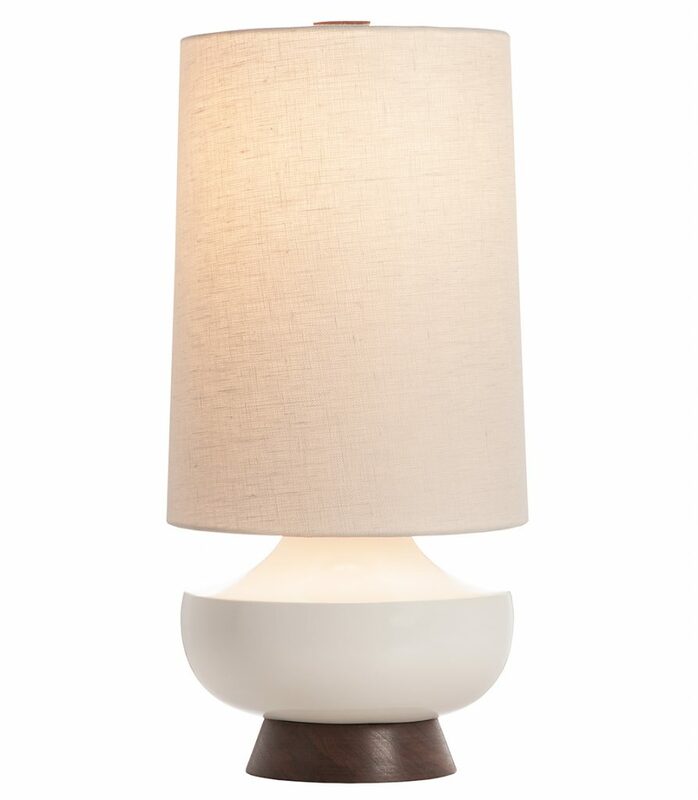 Caravan Pacific designs lamps in four distinct silhouettes, like the Vanderbilt lamp, displayed here in white with a black walnut base. Photo courtesy of Caravan Pacific. For more on Shannon Guirl’s work and Caravan Pacific, visit caravan-pacific.com. Atomic Ranch is Celebrating Women’s History Month! March is Women’s History Month, and to celebrate, join us as we showcase some of the midcentury’s most beloved women designers as well as some modern makers inspired by their legacy. Click here to read more about the ladies behind your favorite designs, pieces and places.